It may seem premature to be creating standards for extraterrestrial surfaces, but with the space economy estimated to be worth more than $1 trillion by 2040, UCF isn't waiting. 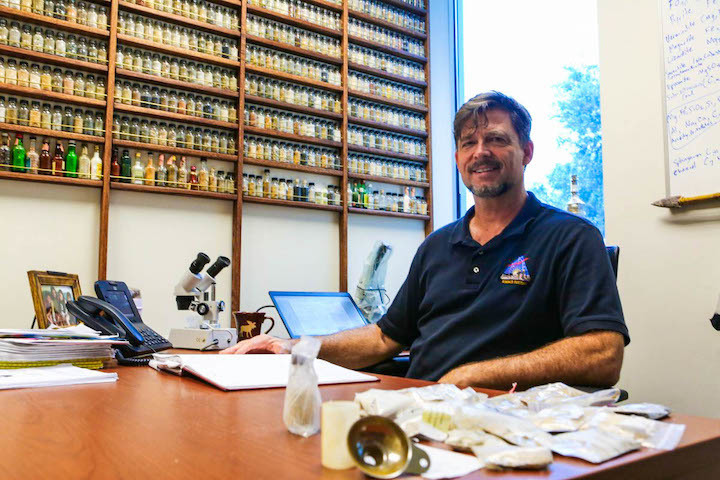 Phil Metzger, a planetary scientist at UCF, is creating standards for extraterrestrial surfaces, which will help keep people safe when construction eventually happens on other planets or asteroids. 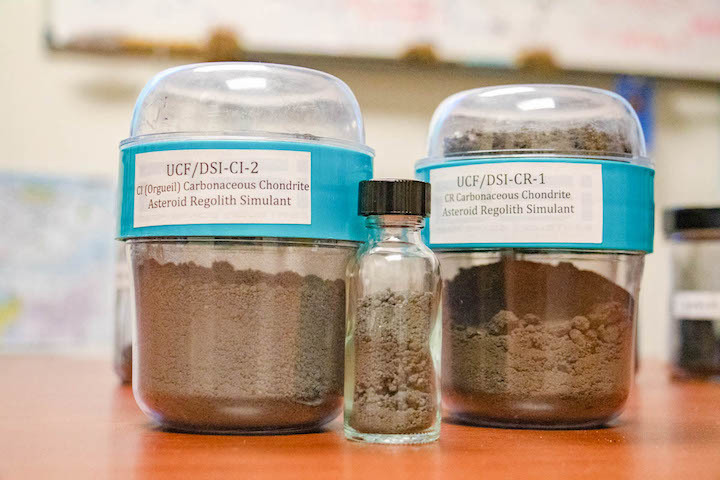 In the study, Metzger and the team of researchers outlined standards for simulated extraterrestrial surface material and then applied the standards to a simulated extraterrestrial surface material created in the Center for Lunar and Asteroid Surface Science’s Exolith Labhoused at UCF. This standardization is highly needed, Metzger says, as previous attempts at creating simulated extraterrestrial surface material have used everything from floral foam to beach sand. If tests are performed on simulant that isn’t similar to the real thing or is not suited for that test, then it makes the test results invalid, Metzger says. “We have to communicate what the properties are so everyone knows its limitations so they won’t use it for a test it wasn’t designed to simulate,” Metzger says. Standardization will also allow researchers to more accurately compare test results across studies as standardized simulants will have properties that will not vary test to test. The researchers also applied their standards to a simulant created in UCF’s Exolith Lab called UCF/DSI-CI-2. They compared the results to measures of Orgueil, a meteorite that fell in France in 1864. Meteorites are meteors that survive entry through Earth’s atmosphere and land on the surface. Meteorites are often correlated to certain asteroid types and may be used as reference material for creating asteroid simulant in lieu of having access to an actual asteroid for comparison. The simulant UCF/DSI-CI-2 received a magnetic susceptibility score, or figure of merit, of .96, which means it is a 96 percent match with Orgueil. Similarly, it received an elemental score of .94 and a mineralogical score of .83. The other five properties the researchers measured also had high scores. UCF researchers were able to create the simulant using particle-size data from the meteorite while also creating the grading standard, says Dan Britt, a Pegasus professor of astronomy and planetary sciences in UCF’s Department of Physics. Britt is head of the Exolith lab and a co-author of the study. Metzger says the research team will continue to grade simulants created in the Exolith Lab as well as offer their grading system to simulants created in other labs. They will also be receiving feedback from the community about improvements in the grading system and will work with the American Society of Civil Engineers for consensus on having the grading standards adopted. Co-authors of the study included Stephen Covey, retired director of research and development with Deep Space Industries (now Bradford Space); Cody Schultz, a UCF mechanical engineering graduate; Kevin M. Cannon, a postdoctoral scholar working with the Exolith Lab; Kevin D. Grossman, a materials science and engineering scientist with NASA; James G. Mantovani, a planetary scientist with NASA; and Robert P. Mueller, a senior technologist with NASA.